Cutting-edge technology and compassionate care. Complete care dedicated to long-term health. 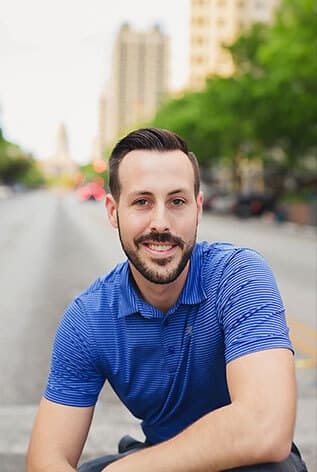 Austin chiropractor Dr. Casey Morgan, D.C. understands the real-life effect that chronic pain carries. At West End Chiropractic Clinic, chronic pain is met with advanced, effective, and complete treatment. When a nagging discomfort manifests into a problem that impedes your workflow or prevents you from enjoying free time, it suddenly affects your life in a real way. West End Chiropractic Clinic opened its doors in 1998 and was taken over by Dr. Casey Morgan, D.C. in 2016. Since then, hundreds of new patients have entrusted their spinal health to Dr. Morgan’s comprehensive care. Patient education is an important piece of complete treatment. Patients understand the root causes of their ailments, and receive specific instruction for self-care between visits. West End treats the deep-rooted cause of a patient’s discomfort through digital x-rays, an advanced spinal decompression table, and many different chiropractic techniques including the leading-edge OTZ technique for frozen shoulder syndrome. "Simply the *BEST* chiropractor in Austin. I receive very consistent and caring service from Dr. Morgan, and my quality of life has sky rocketed. From my experience, West End Chiropractic deserves 6 stars." "Fantastic team, amazing service I would never go anywhere else!" "Dr. Morgan has me feeling better than I have in a very long time. I will continue to see him regularly. I would recommend him to anyone." New patients that are curious about West End’s chiropractic care can check out FAQs and what to expect during a visit here. Consideration for a patient’s busy schedule while in a central location makes West End Chiropractic a convenient chiropractor in Austin, TX for thousands of potential patients from downtown, Westlake or along Mopac. Chronic pain relief is just around the corner. or email to confirm your appointment and requested time, to ensure accurate scheduling. NOTE: Our offices are closed Friday-Sunday. The date field is for your requested appointment date. Located near downtown at West 6th and Mopac, West End’s office is warm and homey, surrounded by shade trees. Park in the back of the office behind our green and white building and take the stairs to the second story. West End Chiropractic Clinic Rated 5.0 / 5 Stars based on 47 reviews.